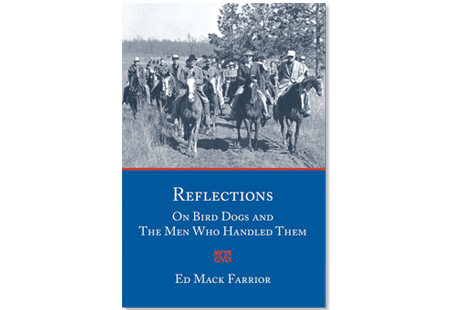 The long-awaited for republication of Ed Mack Farrior’s important book chronicling his long life-time involvement as a professional trainer/handler on the major All-Age circuit following in his father, Edward Farrior’s, footsteps. …wrote Barbara Teare in her 1997 book review of Ed Mack’s book. Dust jacket remarks by Bernie Matthys, The American Field and Bill Allen, The Unforgettables and Other True Fables. Foreword by Ed Mack’s daughter Emily Watts and friend, Tom Word. Hardcover, 194 pages, richly illustrated with many more additional photographs than the original edition. A must-read for every bird dog/field trial enthusiast and and must-have for every collector of bird dog books. Most of the products in our store are unique and only available on this website. We plan to create and add more products including publishing more field trial related books. Coming soon... bird dog note cards! 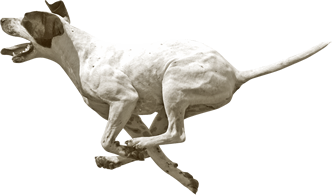 Strideaway products are produced in the USA when possible though some of the materials, i.e. t-shirts and caps may be manufactured elsewhere. Thanks to Strideaway Contributors Tom Word for allowing us to sell the hard cover versions of his wonderful books and Bill Allen for letting us publish his marvelous collection of stories, already in its second printing, The Unforgettables and Other True Fables.